Prision, a canvas in large format, was executed by Tatiana Glebova in 1927 for the Press House in Saint Petersburg, then called Leningrad. It formed a double panel together with another composition entitled Poor People by the painter Alisa Poret. The painter certified its authorship on the back of a photograph of the work and explained that when the Press House was moved to a smaller building the canvas was returned to its creators, who decided to cut it in half and each keep their own part. Paradoxically, despite the existence of this autograph document and a photograph of the artist posing by the canvas in her Leningrad studio, the work was attributed to the painter Pavel Filonov for years. The reason for this error no doubt lies in Glebova’s stylistic similarities with the artist who was her master. A foremost figure in the Russian avant-gardes, he was forgotten for decades and rediscovered at the end of the last century. 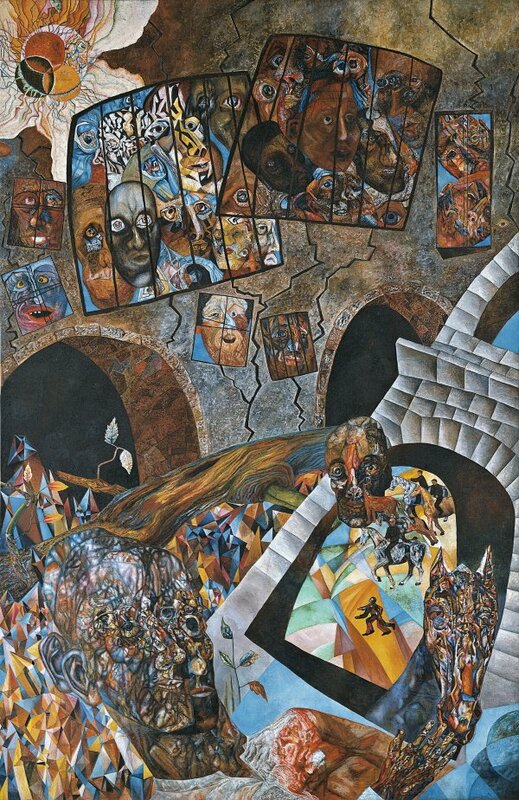 Filonov’s unmistakeable analytical art and artistic language of microscopic brushstrokes and extremely subtle layers of colour, with which he created a fantasy world populated by stone-like beings and ghostly forms, was followed by many of his disciples. As John Bowlt and Nicoletta Misler point out, Filonov and his followers shaped their style of painting from a combination of several sources, such as “through strict academic training, through interest in Symbolism, [...] through Neo-Primitivism and, very importantly, through clear recognition of the Northern European Renaissance.” Filonov instilled in his followers the need to master their trade and taught them to appreciate Russian painters of the nineteenth century, as well as the technical precision of Cranach and Dürer and the allegorical world of Bosch. 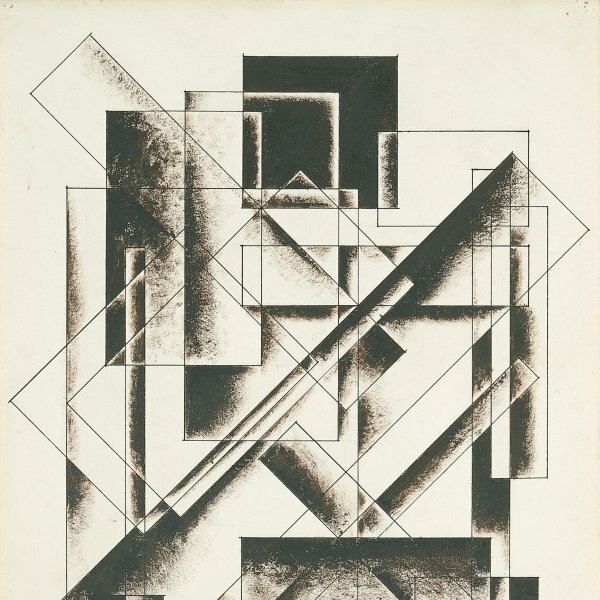 Glebova belonged to the MAI (Mastera Analyticheskogo Iskusstva, Masters of Analytical Art) group that was established by the young creators headed by Filonov, and exhibited her work with them on several occasions as well as collaborating on various theatre and opera stage sets. In Prision, of which there is a preparatory drawing, the painter depicts a world of multiple orientations through diverse interconnected viewpoints, and shows various heads with their musculature visible as if to reveal to us their interminable growth process. Glebova devoutly believed Filonov’s theories on the “universal flowering” and, like him, held that painting should reflect a growth process of the world similar to that of plants, according to which it was permanently active as an independent being.